UAE leaders congratulate Hazza Al Mansouri and Sultan Al Niadi as the first Arabs heading for the International Space Station. 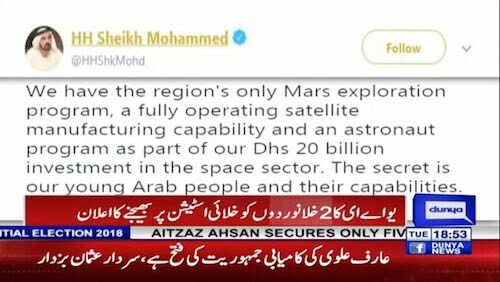 His Highness Shaikh Mohammad Bin Rashid Al Maktoum, Vice President and Prime Minister of the UAE and Ruler of Dubai, on Monday announced the names of the two Emirati astronauts who will be sent to the International Space Station (ISS). Hazza Al Mansouri and Sultan Al Niadi were named as the first Arab astronauts to go to the habitable satellite hovering above Earth.